When the alarm went off at 5.50am on Sunday 1st November, I knew it was time to grab my gear and head for Westminster Bridge. 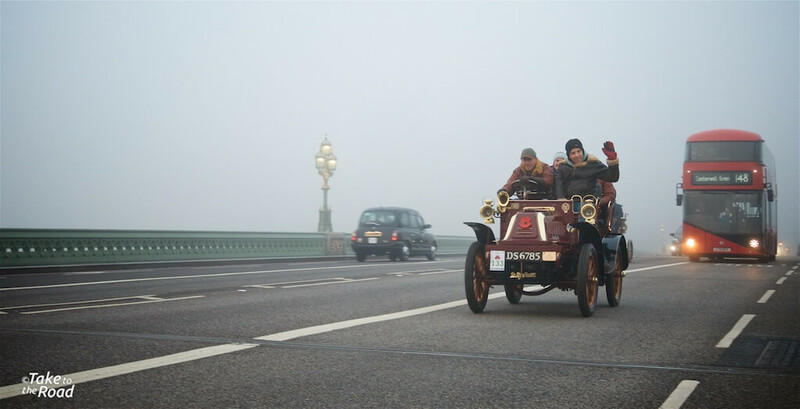 The 119th London to Brighton Veteran Car Run was due to start at 6.54am at Hyde Park in the centre of London, so I needed to get my skates on. 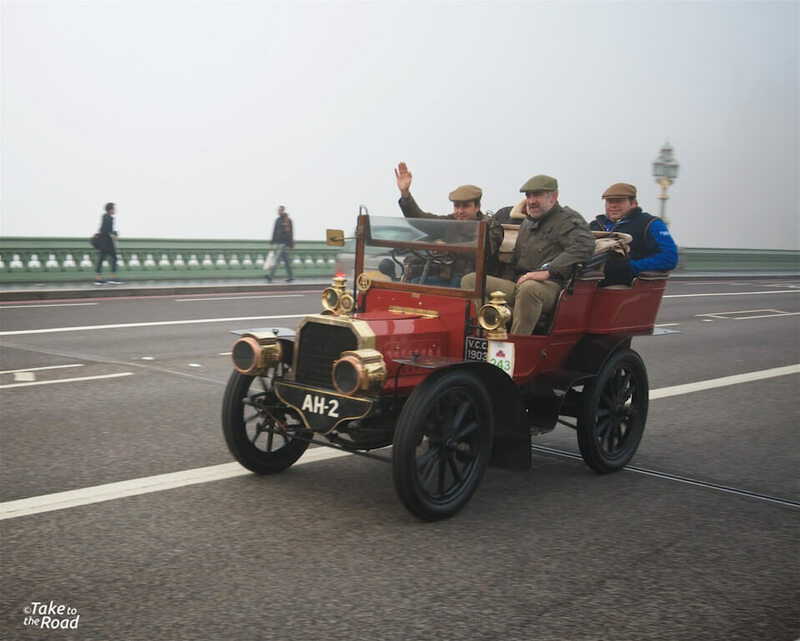 My plan was to watch the 400+ vintage cars drive across Westminster Bridge, take some photos and shoot some film as well. It was my first time to watch the Veteran Car Run having been to the Regent Street Motor Show for the past two years to see the vintage cars on the run take part in the annual concours event (photos from this years show will be posted soon). So after seeing them parked up in the middle of Regent Street two years running, I felt it was time to see them in action. 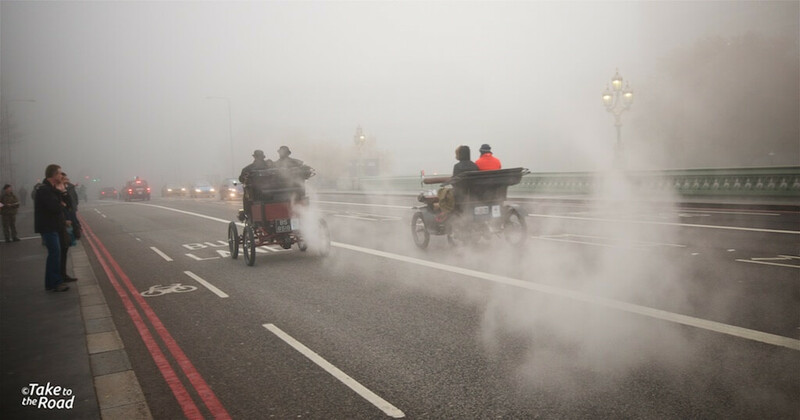 As I made my way to the bridge, the whole of the city was shrouded in mist. It was cold and very foggy. Looming out of the mist here and there were stragglers from Saturday nights Halloween parties, their ghoulish fancy dress outfits adding to the eery atmosphere that had crept over the city. 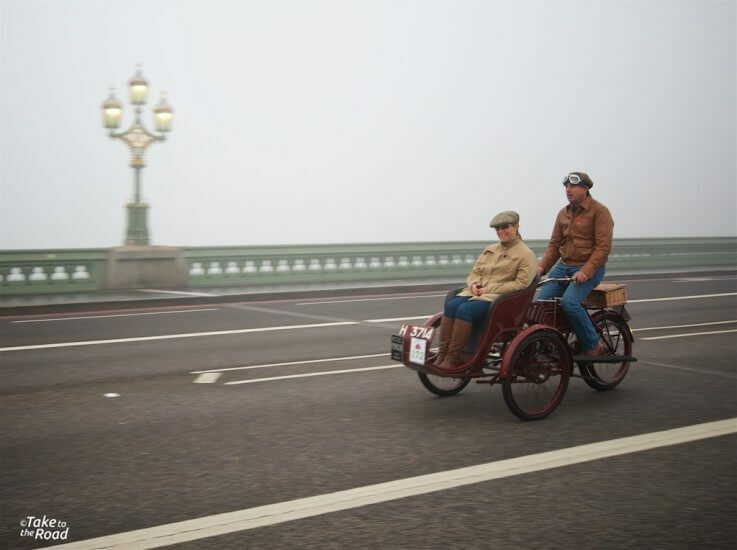 As I got to the bridge I knew the fog and mist would provide a wonderful atmospheric backdrop for the vintage cars as they trundled over it. And I wasn’t wrong. With the outline of the Houses of Parliament and Big Ben barely visible through the mist, I got my self in position and waited for the cars to arrive. Seeing them all appear out of the mist was really something. 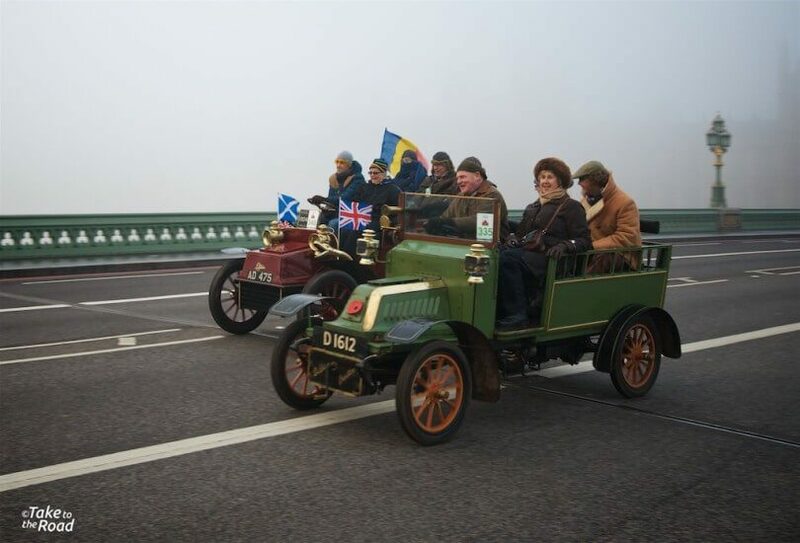 It felt like we were transported back in time as the parade of vintage vehicles made their way across the bridge. 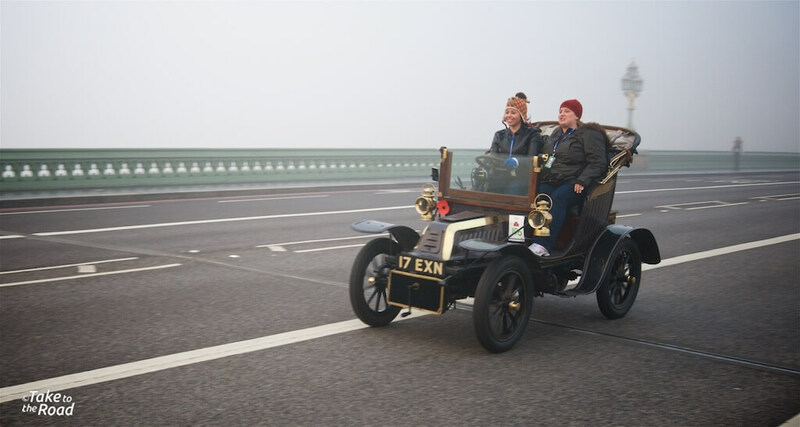 A good number of people had turned up to watch the participants and wave them on, though I think the fog and the early start had kept most away. 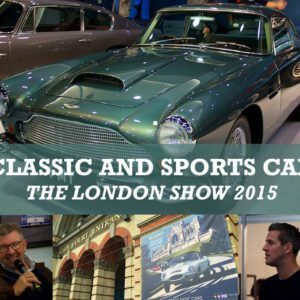 What I found the most fun was just seeing the old cars in action. 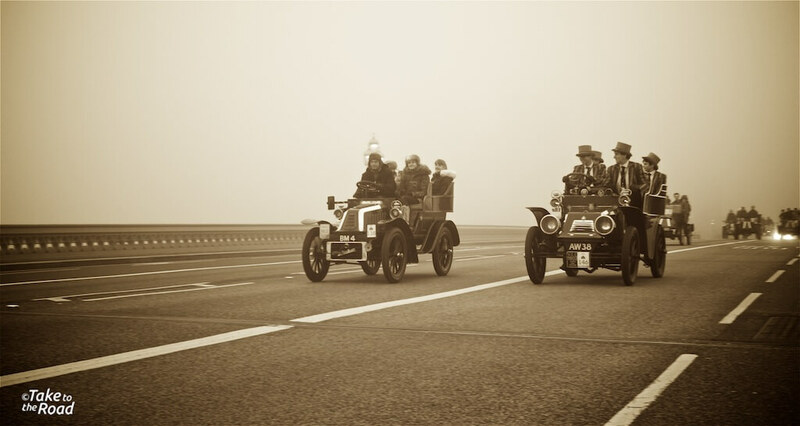 Hearing their engines crack and pop and hiss as they made their way through the city really added to the sense of occasion for the event that first began in 1896. A couple of cars broke down on the bridge in front of me which was not a good sign. 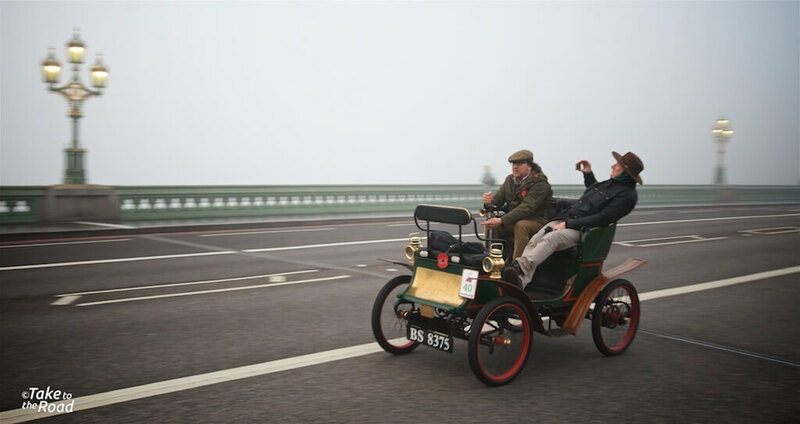 With the notorious Hammer Hill, Burgess Hill and Clayton Hill ahead, the small incline of Westminster Bridge was just a minor bump in comparison to the arduous climbs that lay ahead. I hope they made it to the finish line. 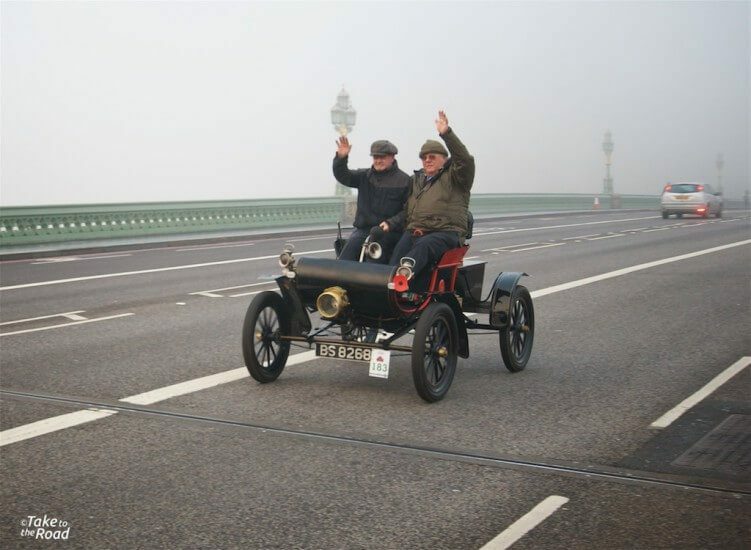 The variety of vintage vehicles making their way over the bridge was impressive. 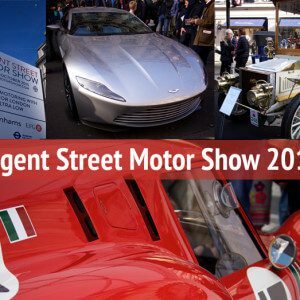 Seeing the different designs employed by the likes of Cadillac, De Dion, Delahaye, Ford, Oldsmobile, Panhard, Pierce and Renault, to name just a few, was fascinating. Watching them trundle past showed how far motoring has come since its origins in the late 19th century. 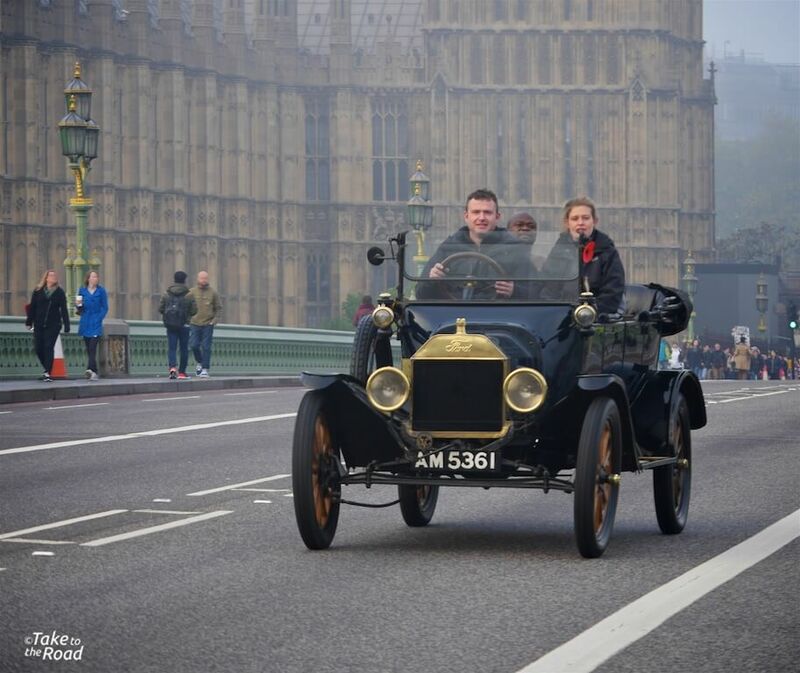 And the importance of the vehicles taking part cannot be understated. All were exceptionally rare and their condition is a real testament to their owners dedication to keep these historic vehicles on the road. 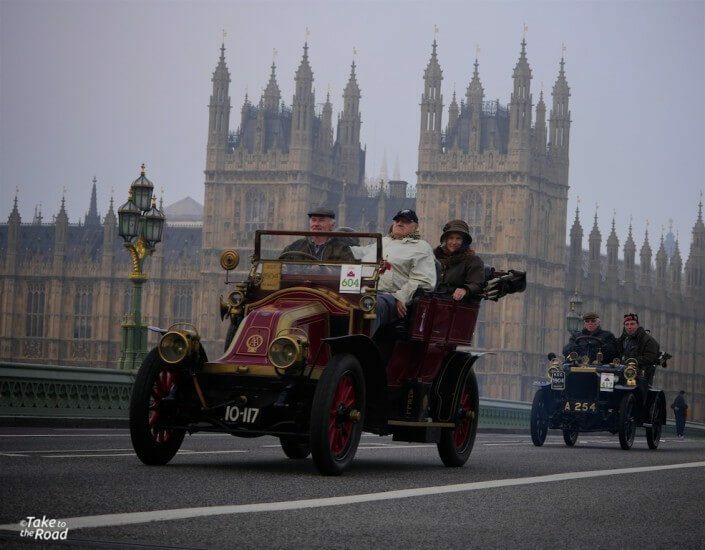 It was quite a sight seeing so many vintage cars take over the roads of London for a few hours. 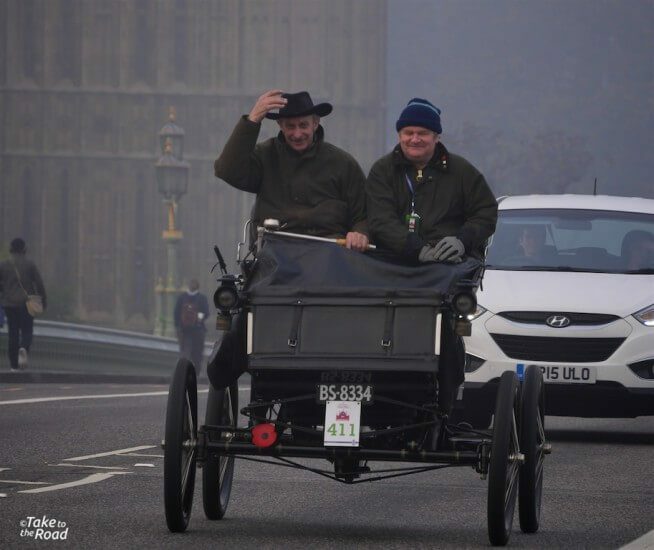 What I enjoyed most from the mornings event was the excitement and fun that I could see on the faces of the drivers and their passengers. 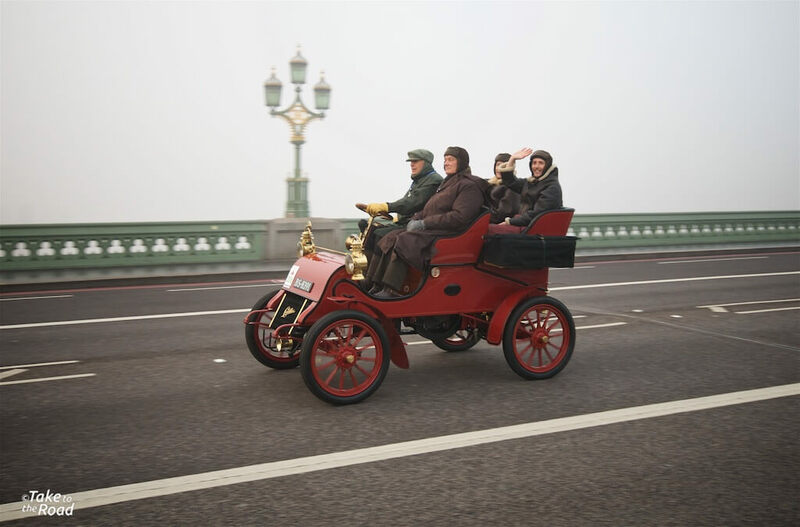 For some the expressions of fun were mixed with frowns of concern and momentary panic as their car made a new clank noise or decided to jump a gear. 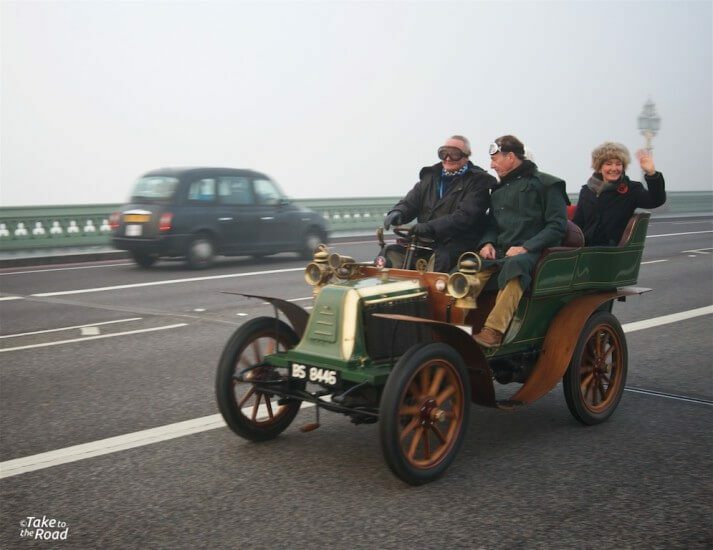 The excitement reminded me of our own London to Brighton Run earlier this year in our Bertone x1/9. 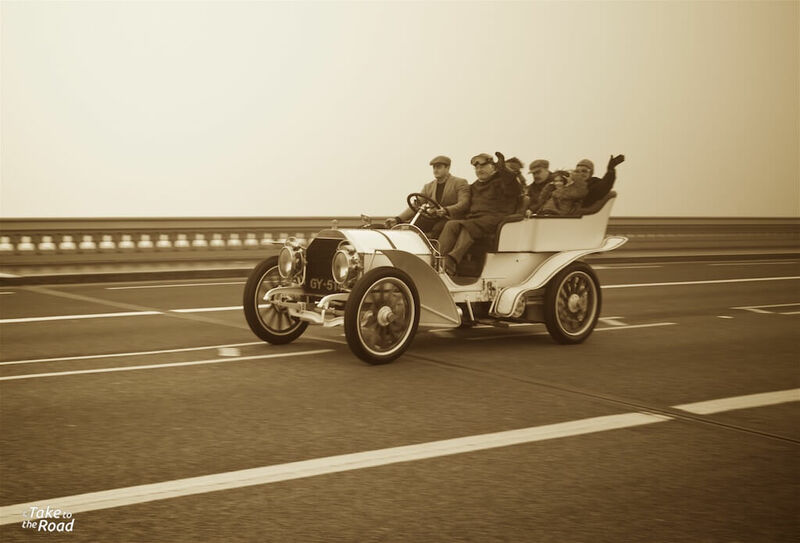 Obviously not in the same league as these rare vintage cars, but the sense of fun, adventure and camaraderie was clear to see. And seeing lots of participants dressing up in period outfits for the occasion added an extra bit of charm to the whole event. 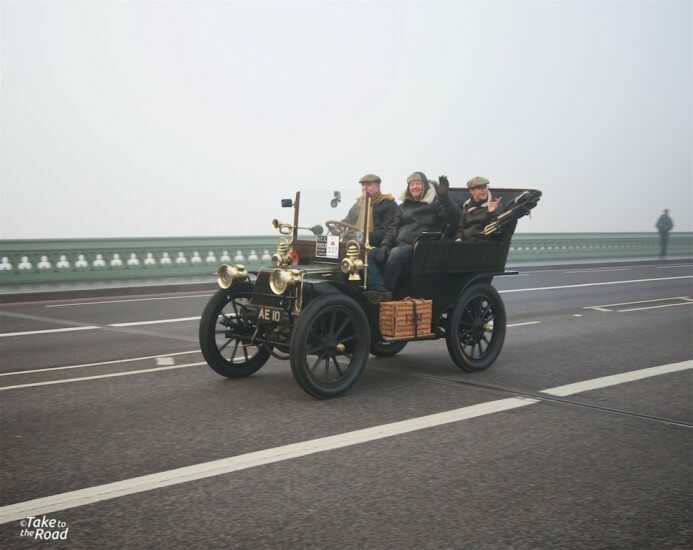 A 1902 De Dion Bouton with some well dressed chaps in a 1902 James & Brown. 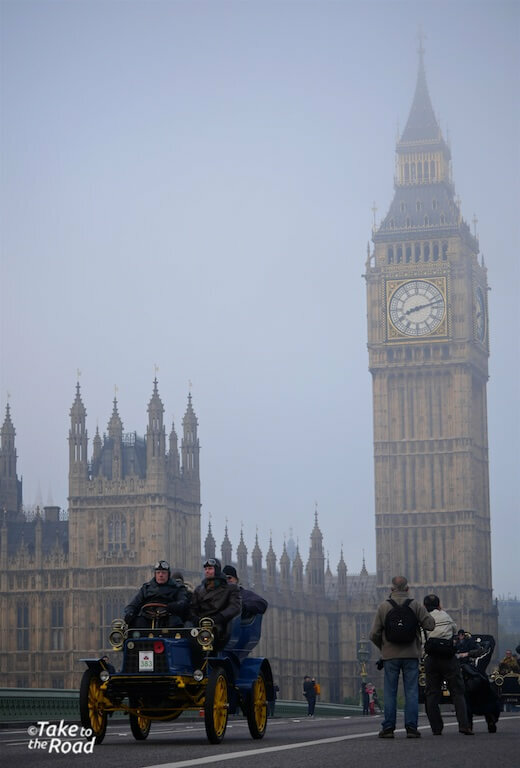 So was it worth the early start and braving the cold and fog? It certainly was. Maybe next year I’ll go and watch the start of the London to Brighton Veteran Car Run in Hyde Park. And someday it would be great to take part in the run itself. I have the flat cap, I just need a qualifying vintage car to take part! 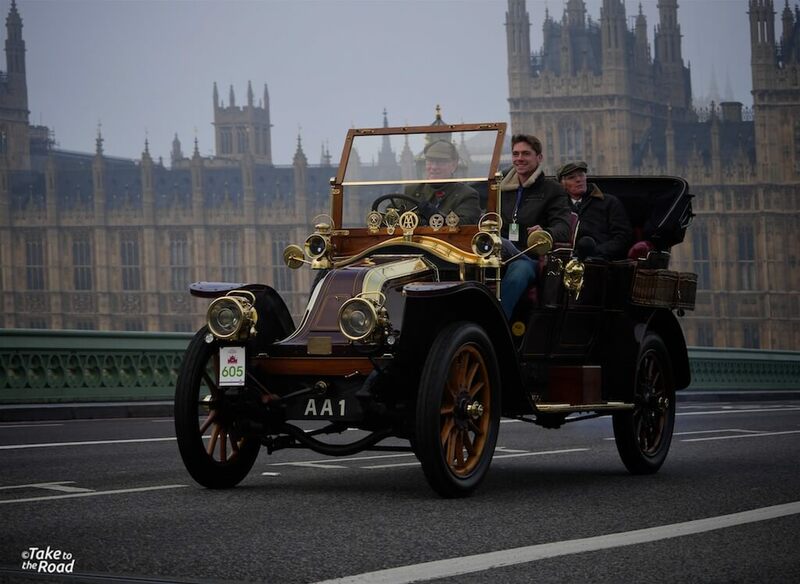 Wheeler Dealers Edd China driving a 1903 MMC. Being exposed to the elements for many hours requires plenty of warm clothes. 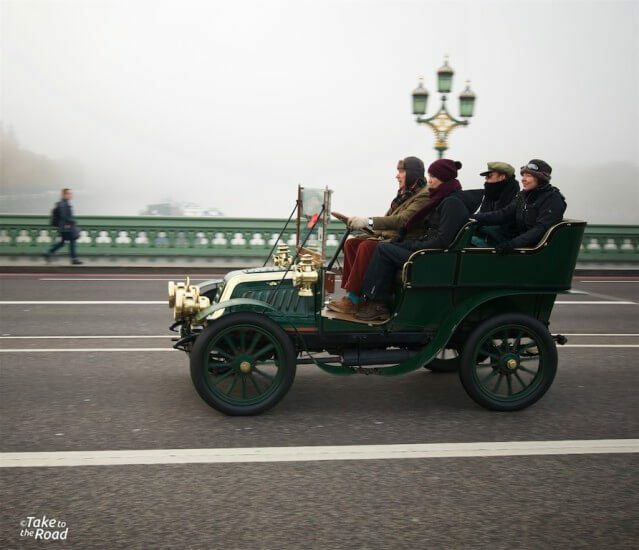 No heaters in these old cars. 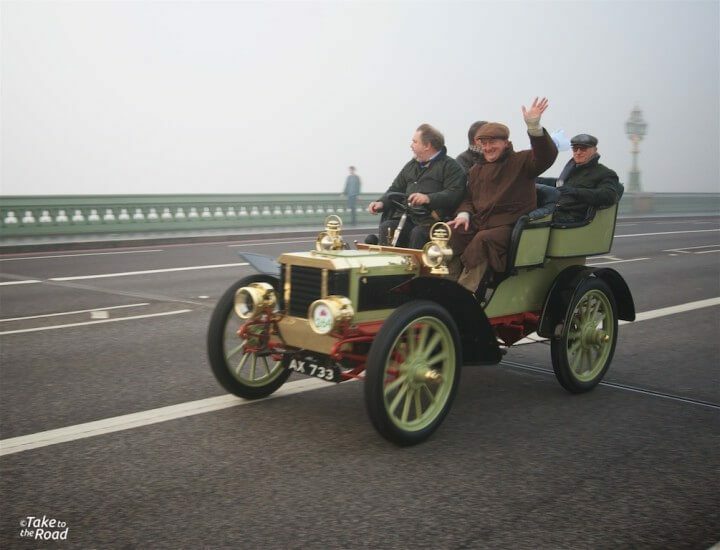 Ross Brawn in his 1905 Wilson Pilcher. 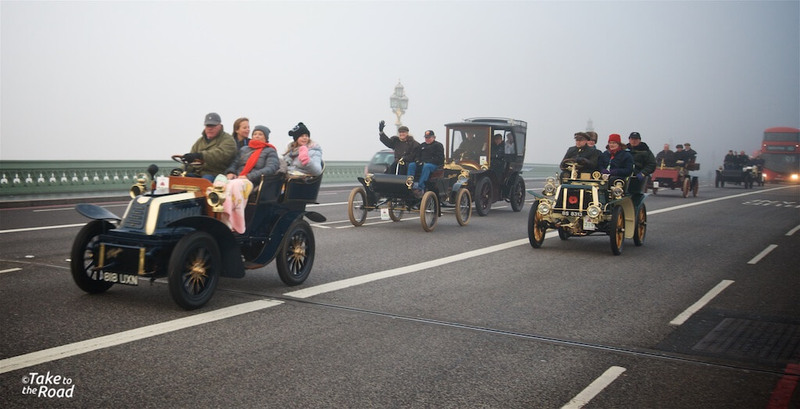 A mini race between a 1902 De Dietrich and a 1903 Oldsmobile. 16HP v 5HP. French rivalry. A 1905 Renault leads a 1904 Peugeot. 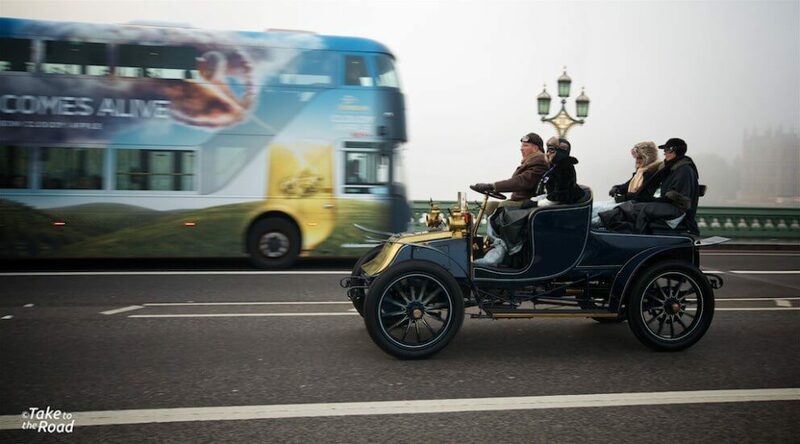 1903 Riley. Very brave to be sat up front like that! 1903 Humber. 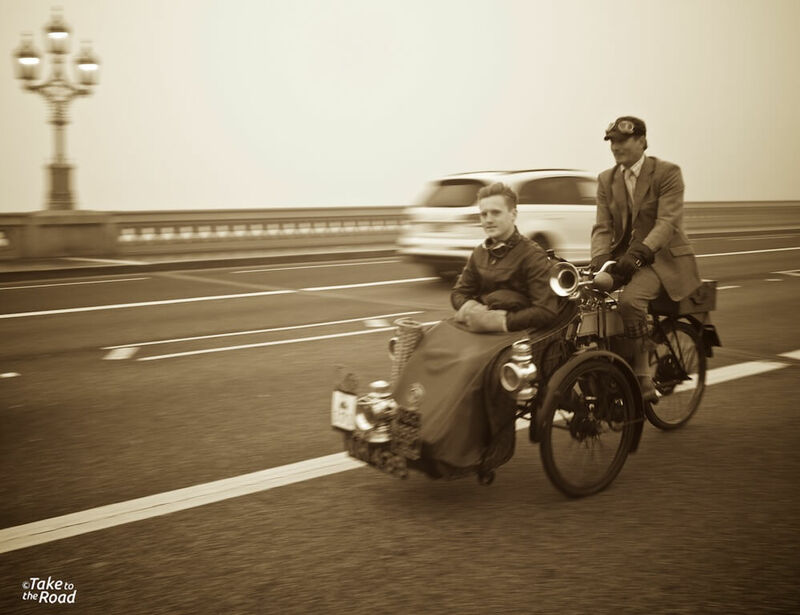 More upfront bravery from the passenger. 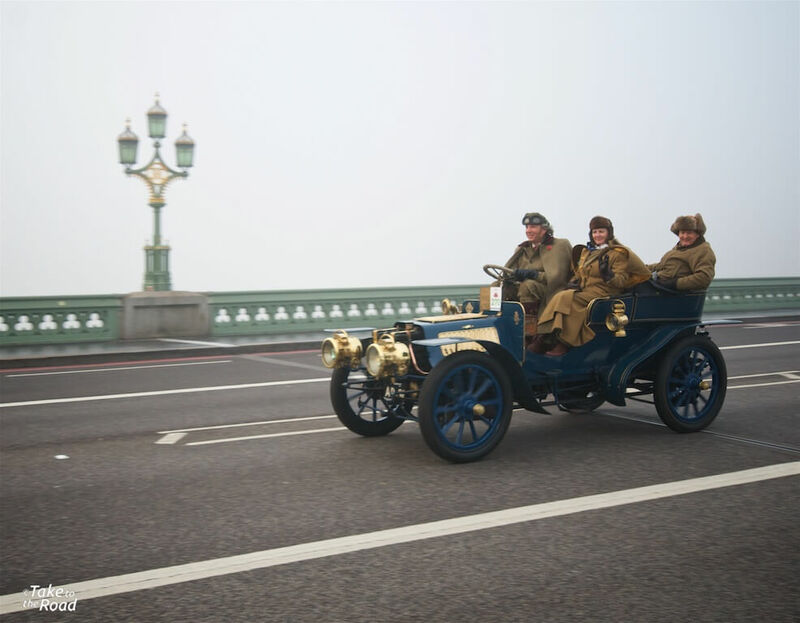 More racing this time with a 1904 De Dion Bouton and a 1904 Cadillac. 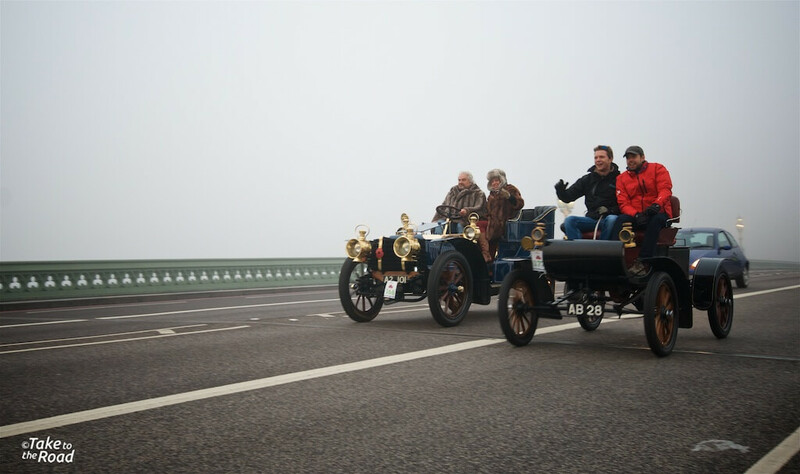 Some of the steam powered cars adding to the mist on the bridge. A fine hat for the long drive to Brighton. 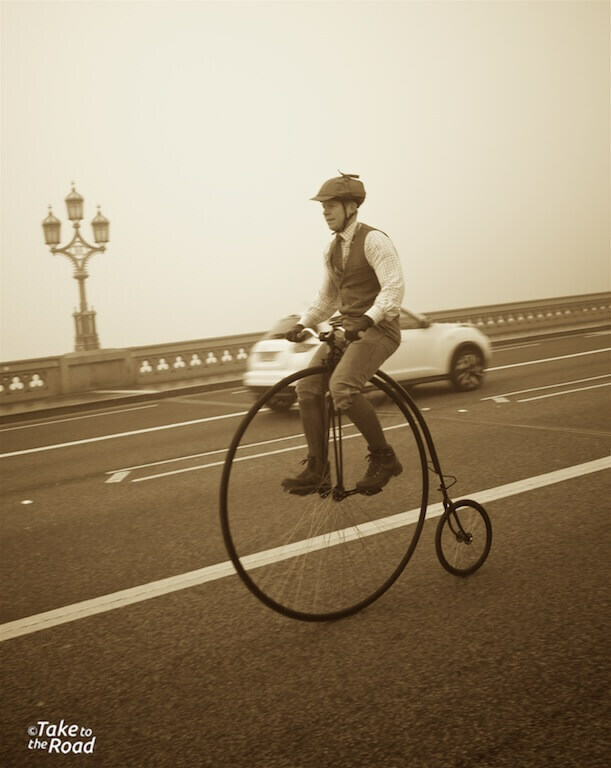 I’m not sure if this guy was cycling all the way to Brighton on this Penny Farthing. If so, then fair play! 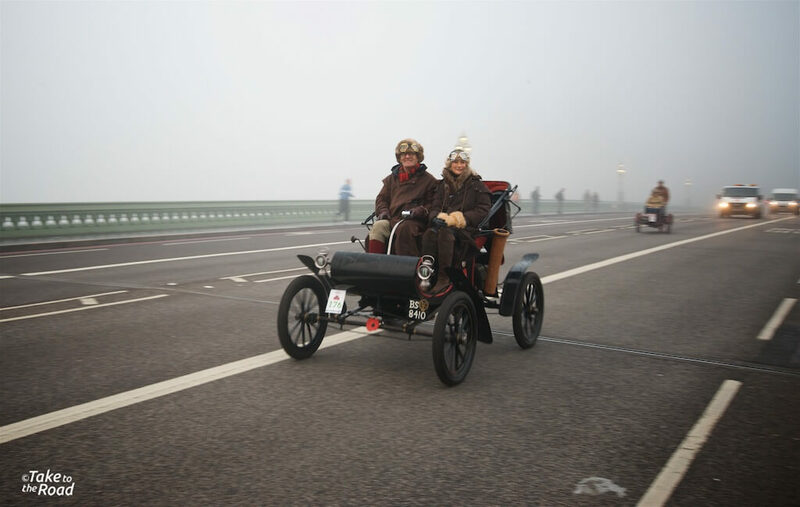 This old Ford was one of the last cars to cross the bridge.